Sale-A-Bration starts Tuesday, January 28th and I wanted to share more of the samples that use free Sale-A-Bration products. When you spend $50 (before shipping and tax), you can select a free item from our selection of free products. 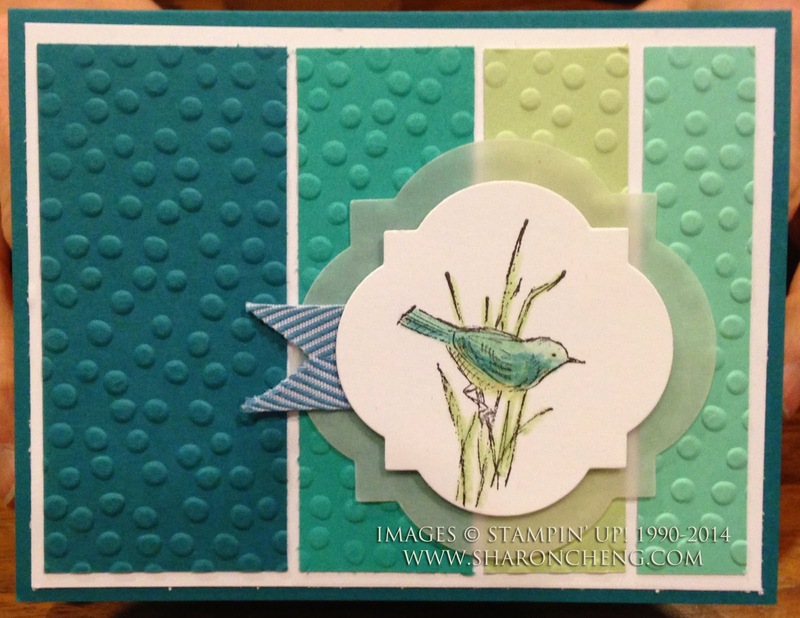 Marilyn Young made these two cards using Decorative Dots Embossing folder and the ombre technique. With the ombre technique, you use colors that are similar in hue with light, medium and dark values. And if you know Marilyn, coloring is one of her many talents. 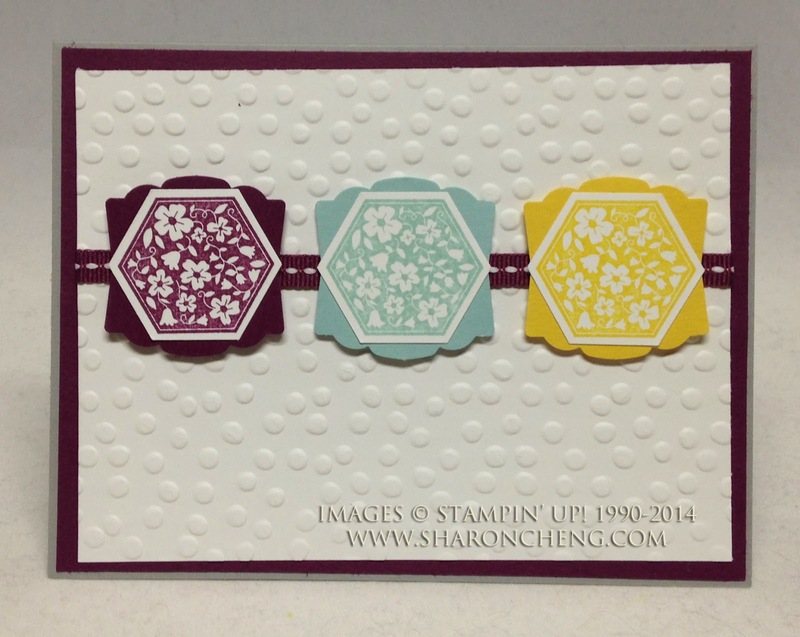 Marilyn also made this card featuring the Six-Sided Sampler stamp set (130956 $18.95) and the Decorative Dotes embossing folder. If you go back to my first post of Sale-A-Bration samples, you'll notice that several of us used this folder in our projects. 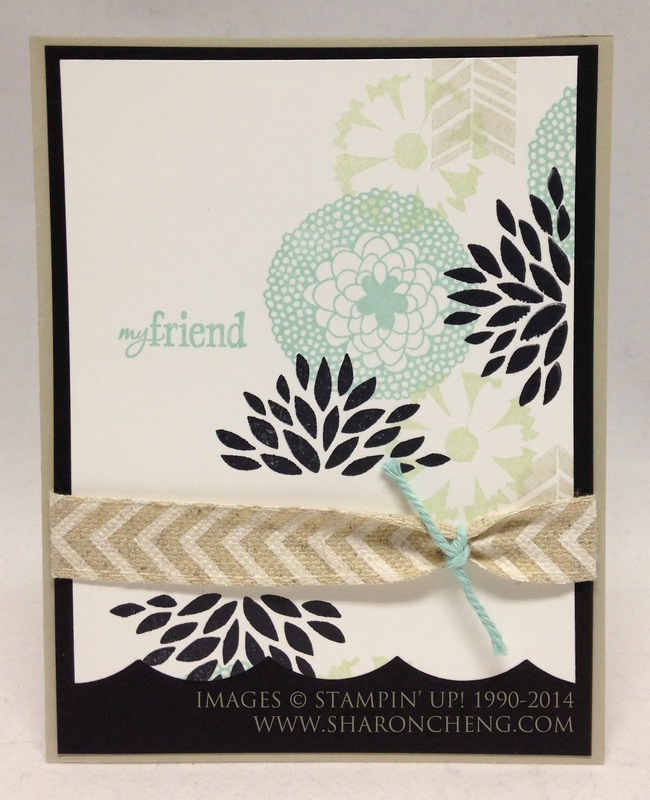 Embossing folders are a wonderful, quick way to add texture to your cards and 3D items. 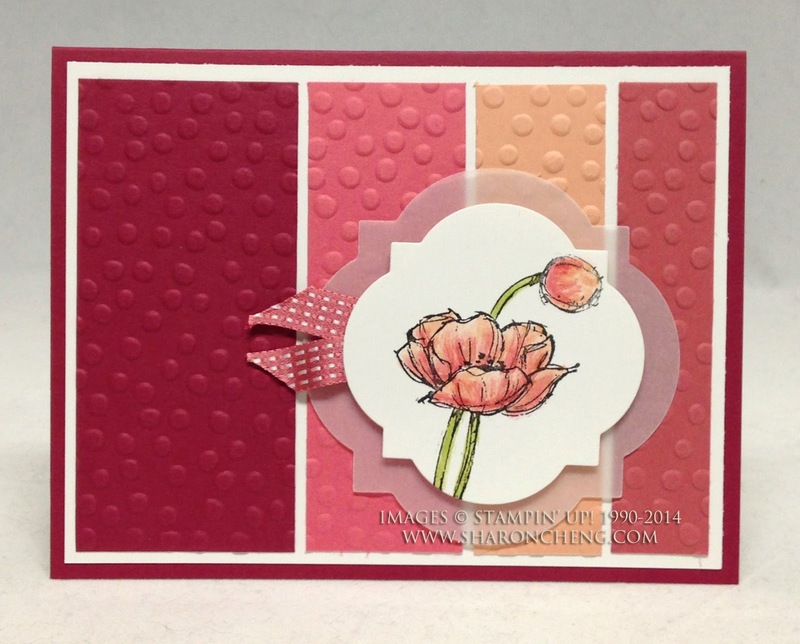 Janet Holmes made this card using the Petal Parade stamp set. I love the Basic Black accents. 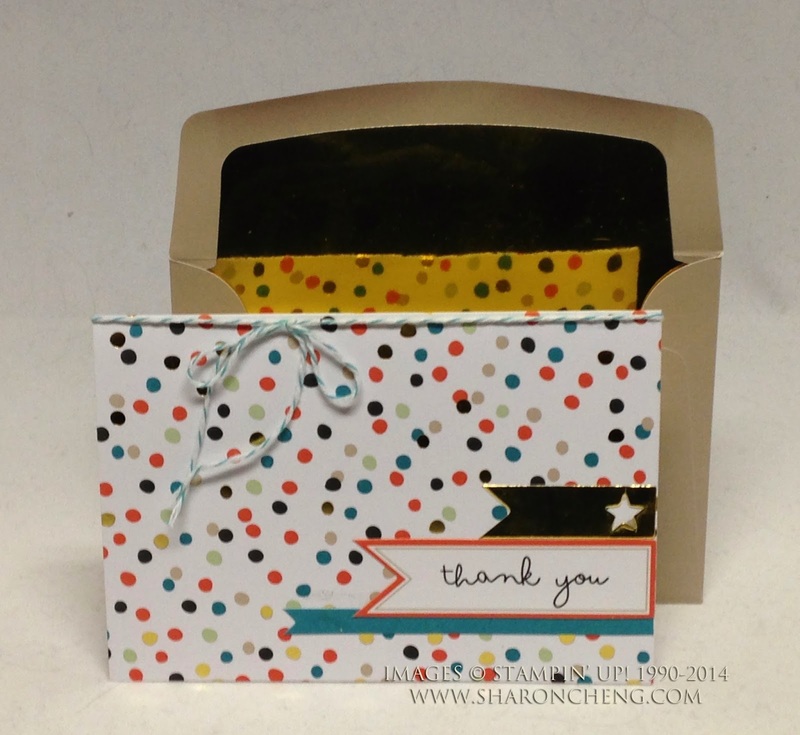 One of my favorite Sale-A-Bration freebies is the Good as Gold card kit. You get everything you need to make 8 cards with coordinating lined envelopes. Notice the reflection on the gold liner? That is how shiny the gold foil is that lines the envelopes. I'm so glad that Cindy Peterson made these cards for our swap. And by the way, you get the Bermuda Bay Baker's Twine and gold elastic cord too! Believe it or not, there are still more Sale-A-Bration freebies that you can choose from when you order $50 in product between January 28 and March 31, 2014. Contact me for more information. Visit my online store to get your supplies for this project. For your $50 order, you can put together your favorite products including items from the Weekly Deals and Clearance Rack. Remember that when you purchase $25 or more in product, you are eligible for my Rewards Program.